Here are some photos. I'll add more detail as soon as I can. I don't have a lot of photos of this trip since my camera pooped its brain. Maybe IT needed a vacation. Anyway, Val's camera worked so we came away with a few keepers. I took this snappy on our last sail as we headed back to Blue Lagoon and Barefoot Yachts. That's Bequia in the background. 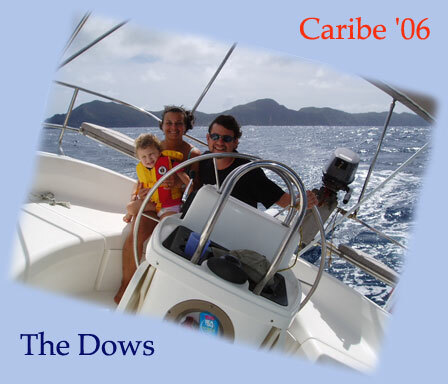 We had a great time, as always, in the Grenadines. Click on to the next pages for a few more photos.